et's say you're relaxing some evening, enjoying a few homebrews, and shopping eBay. With some beer logic, you click BuyNow on a digital thermometer for $1.83 (free shipping!) from a seller named Hola-Fly in China. Let's say, you forgot you ordered it and eight weeks later it surprises you in the mail ...but to no surprise it's not very accurate. Okay, let's say I did this. My plan was to install it in my beer fridge so I could keep an eye on my beer temp. If Coors Light drinkers can have their "certified cold" mountains, I should at least have a thermometer. Unfortunately this cheap little thermometer measured about 4°C too warm. And of course, since it costs less than a large coffee, there is no setting to calibrate it. 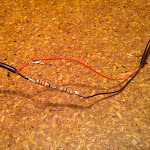 The probe is likely a simple thermocouple but could be a resistance thermometer - either way it's effectively a variable resistor affected by temperature. I figured I might be able to increase the resistance to get the results I needed. I cut the lead and spliced in a 5KΩ trimpot (trimmer potentiometer) to one of the wires and dropped it in the fridge along with another thermometer that I trust. Waiting 10-15 seconds after each adjustment, I tweaked the trimpot until I was consistently getting the correct reading. With the trimpot removed, I measured it to be set to 2.2KΩ. 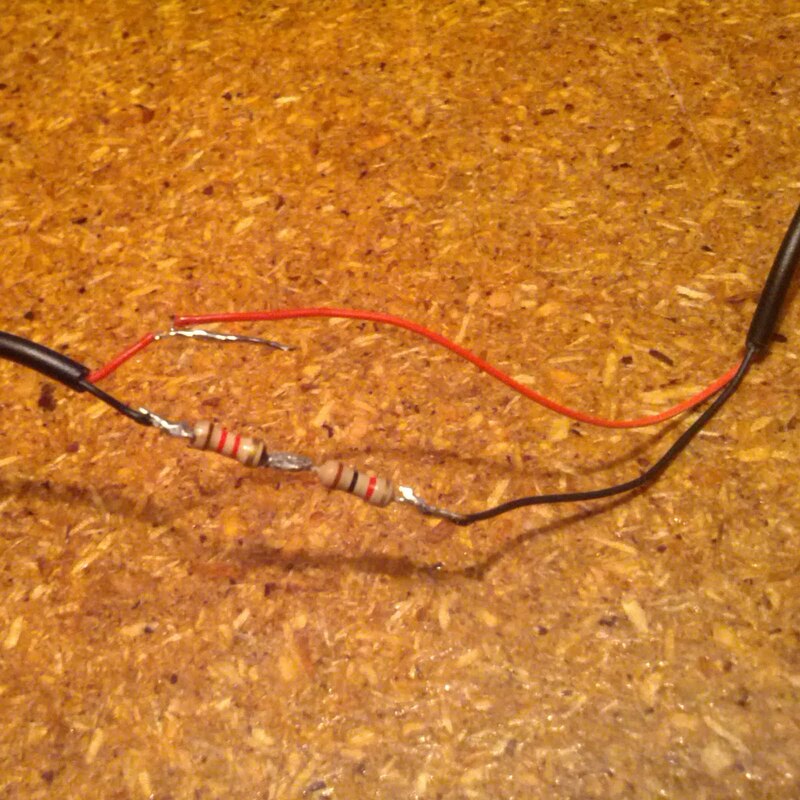 I didn't have a 2.2KΩ resistor ( ▌▌▌) so I used a 1.2KΩ ( ▌▌▌) and 1KΩ ( ▌▌▌) in series. A little soldering and heat shrink and it's all good. I should point out, this isn't really "calibrating". I just increased the resistance across the entire range - I'm betting it's not a linear relationship between the temperature and the resistance. However, it's now pretty accurate in the 0°C - 10°C range (above 10°C it starts to deviate). Good enough for a beer fridge.